What Age Should Your Child Start Ballet Lessons in Pembroke Pines, FL? Ballet lessons exist for the very young and the very young at heart. In truth, ballet lessons can be offered to children as young as two to three years old. These are normally fun introductory classes where not much is expected of the child. Normally, parental presence during classes for the very young child is highly desirable or mandatory. Some ballet lessons are even “mommy and me” types, where both parent and child participate. If you want to wait until a child can go on their own to ballet lessons, then you will probably have to wait until the child is about four. 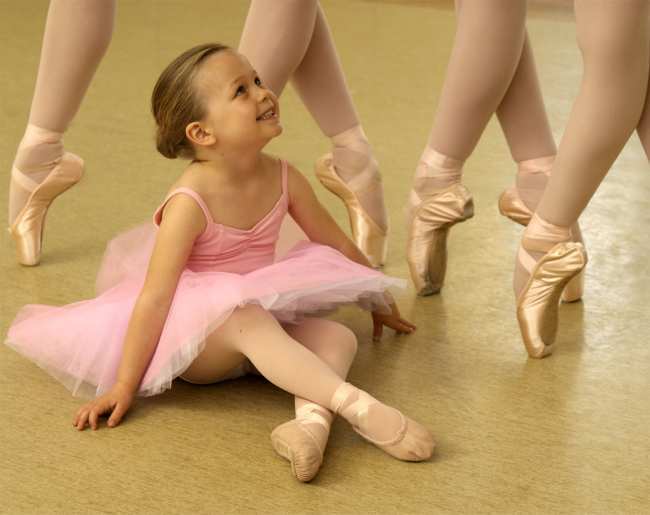 Some classes exist for children as young as three, and a precocious child might be able to take ballet classes earlier. Much depends upon the maturity level of your child. For simple introductory courses, consider ballet lessons that focus on having fun with a few ballet moves, rather than rigid instruction. Ballet classes that focus more on technique than fun usually require the child to exhibit a certain level of maturity. The child should be able to take directions, pay attention, listen, and take mild criticism. These skills are not mastered in 3 or 4 year olds in most cases, though some children are exceptions. A child who really loves ballet may worship a teacher and offer his or her rapt attention to that teacher. These are often the children who go on to have careers in ballet, if their admiration and love matches their abilities. In reality, most children will never get that far in ballet, but early exposure to fun courses can make them lifelong lovers of dance. There’s also nothing wrong with early introduction of good exercise concepts, which ballet lessons definitely emphasize. If you are looking for a fun, introductory class, stay away from the overly technical, rigid or harsh ballet schools that exist to create professional dancers. Only a few children benefit from this type of teaching, which can cause loss in self-esteem and excessive concern about body weight. Other professional schools have much gentler methods of teaching ballet, and if you think your child might make a career out of ballet, look for teaching methods that are precise but empathetic. Ballet lessons should be geared toward the child’s age group, and should not have unrealistic expectations about childhood behavior. Parents should investigate several ballet schools, and also introductory ballet lessons offered through local Performing Arts centers. Each class may specify age limits, or it may be up to the parent to decide if the child is mature enough to take a specific class. Considering the type of class and your child’s individual maturity are key. Also, weigh the child’s interest in ballet. A child who is not particularly fascinated with this form of dance may not enjoy ballet lessons, even if they are loosely structured.